To help the reader, this channelling has been revisited [by Lee and Kryon] to provide even clearer understanding. Sometime information is even added or condensed. Often what happens live has implied energy within it, which carries a kind of communication that the printed page does not. So enjoy this enhanced message given in Montreal. Greetings, dear ones, I am Kryon of Magnetic Service. I sit in front of an esoteric audience right now and the subject has been multidimensionality for the entire day. You’re discovering things right now that are unbelievable to many. At the very basic level, and at the core of humanity’s perception, there is change coming. It’s beautiful change that is sometimes difficult to achieve and imagine, but if you look at it closely, it truly is a change that brings you out of the dark. I want to review some things in this message that I have given in the past, then I want to introduce some new things to you that I’ve never said before. This is the time for it. Why should this be the time? Because, dear ones, you came here and are reading this. 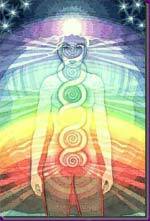 We are here as multidimensional energies and entities to teach you as much as you can understand about this shift. First, let’s take a look at what has happened on the stage today since this meeting began [The Ariane Publishing Convention]. The channelling today has come from different Human sources, yet there was only one real message given. If you take a look at the various ways that it was delivered, you’d see that the Human is involved, but the core information is the same. What are the words that would describe in any language the core of what was said today? Hope, benevolence, love, compassion, togetherness, harmony and awakening. This is the message from the creative source today on this planet, as represented by multiple channellings. How do you know if a channeller is real? It’s easy. Look for these subjects in the message: Hope, awakening, love, compassion and help when experiencing the difficulty of moving into the light. No channeller who is real and accurate will give you a doom and gloom message today. It is impossible, because the God-source knows what has taken place here on the planet and that’s the “message of the shift”. Little by little, group by group, old souls and Lightworkers are receiving information that is starting to ring true. You’re going to eventually identify with this energy if you understand what is really happening. You may look at your media and see what they say is happening around you with the world condition – and it may seem far different from what we are telling you. Dark consciousness on this planet wants you to be frightened and return to the lower consciousness of the past. Media is involved in pleasing the commercial core. It’s about time for the oneness to spread through the planet. Oneness is another way of saying “awareness of the whole of things, a confluence of connection between everything”. I want to list some things for you to give you some examples and information about this awareness. 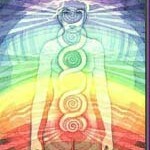 How is oneness happening? What are some of the attributes to look forward to? What are the new things you didn’t expect? Everything I’ll give you is benevolent, beautiful and truthful news. There is a discovery taking place. Awhile back, perhaps as long as 200,000 years, a spiritual creation story slowly began to place itself on this planet. Dear ones, the creation story that you read about in your culture’s scripture is interestingly similar to the one that we now discuss. However, the one we discuss is also the one claimed by a majority of the indigenous all over the planet. The indigenous on Earth say, “We came from the stars.” They will tell you the same thing your scriptures say. The Human Being today is not a product of evolution of the planet earth, but was altered. The creation story miracle of this alteration gave you spiritual awareness of dark and light. We also tell you that your very DNA was altered at this time. The creation story in scripture is filled with metaphors. The Garden of Eden is a metaphor for Gaia and the beauty of Humans on Gaia. The garden is all of nature, not a specific place. The Humans that are involved in the story, the man and the woman, represent ALL men and women at that time. The creation transformation started slowly and we have told you there was a creative spark – a point at which this took place. It had to start with a few and multiply over time. “Coming from the stars” is a truth that the indigenous believe almost universally, and for many, is the metaphor for the Pleiadians (the Seven Sisters constellation). Now, dear ones, you won’t read that in scripture. Instead, the story is that an angel came down from the heavens. The result of that visit is that you were given sacredness and awareness. Suddenly, Humans who were simply biological, evolutionary beings became those with spiritual free choice. You were given the knowledge of good and evil, dark and light, and the ability to sense the creative source (God) and decide between these energies. That’s the story in scripture and that’s the story that we give you of the Pleiadians. The Pleiadians are a very highly evolved spiritual race, which has had a multidimensional consciousness for tens of thousands of years. Their purpose 200,000 years ago was to seed this planet with the knowledge of the Creator. Even today, some scientists are starting to question why it is that the modern Human Being, who is approximately 200,000 years old, has 23 pairs of chromosomes instead of the 24 that all the evolution below it has. The timing that science is discovering is the very timing we’ve told you about here. Something happened that changed your DNA. You’re very new on this planet! Having 23 pairs of chromosomes, dear ones, means that you didn’t come from anything here! Do you realize that? Science is starting to also realize that. They won’t give you the creation story as I have, but they will say, “Something took place that created a Human Being outside of the normal, accepted evolutionary process.” So this Kryon story may be more mainstream than you would imagine. Now, I’ll tell you something I’ve told you one time before. Indeed, it appears that you have 23 chromosome pairs. But you are only studying them to the extent that you can in 3D. You study them in a linear fashion with the 3D chemistry instruments you have because it’s all you have right now. So where did the 24th pair go? What if I told you that it’s still there? Aha! It’s definitely still there. Dear ones, the 24th pair IS the quantum pair. You still have 24 pairs, but 3D biology only sees 23. So, what is the 24th pair all about? If you lose the perspective of this, it’s not going to make any sense. What is the numerology from the ancient Tibetans on the number 24? It’s a six (6) and if you look at the meaning of the six in that system, it’s “man at its highest level – harmony and balance”. Did you know that? What a coincidence that the 24th pair, which is multidimensional, is coming awake after 200,000 years! You have passed the marker (2012) and with that comes a change in your DNA. It starts to vibrate differently, not as a frequency, because a frequency is a three-dimensional description. It vibrates differently within a quantum energy (affecting the spin of atomic structure within a quantum field). It’s extremely different, extremely high, and it starts to change Human nature. That’s what’s happening. The first step to understanding this process is going to be for you, old soul, to cognize it. This is an interesting word in my partner’s language. Cognize doesn’t simply mean believe in. It means a Human mind must accept it internally so it becomes an “owned” reality. All of you have cognized a physical attribute called gravity. You don’t believe in gravity. Instead, you have cognized it and work with it every single day. There’s no question that if you drop something, it’s going downward. You cognized it to the degree that it’s real to you at the core level. You own the concept. There are many in this room and reading this who have cognized the love of God to the degree that there is no question that God is real and this beautiful source knows you’re name. Those who understand that know that when they leave this place, they will never be alone. There are a multitude of entities with all of you who know you and who love you. This is the solace and reality for many old souls. However, you know that there are those who don’t believe it at all. This is free choice, the core of the creation story energy. Can you imagine a fully quantum Human Being with changed DNA, ready to make major shifts, but who doesn’t believe in any of it? They go home from this place alone and they feel alone, yet there are multitudes of loving entities around them, just waiting to take their hand – if they could cognize God in themselves. Can you imagine them sitting alone all their lives, dying alone – never having taken the hand of any one of those guides who love them eternally, who know their soul-name, and who were ready for healing and life change? That’s free will. Perhaps it’s because they were never told about something you are learning today? Every Human on this stage feels this love when they are in channel. Channelling is different for each individual. There is no right or wrong way to channel. There are two channellers on the stage at the moment. Can you identify them? One channels the love of God through his fingers right now [Robert Coxon – composer/musician]. He knows what he is doing is multidimensional because he hears the music before he plays it! He hears the information of the man in the chair channelling before it’s channelled! That’s the variety of multiple channelling. That’s multidimensionality. Every channeller on the stage has felt this and knows this. I tell this to you even before I begin to tell you what your evolution is bringing you next. My partner talked earlier about an evolving Human Being and gave you some things to consider. What does evolution really mean? Our last channeled book is filled with examples of DNA changing, attitudes changing and what becoming multidimensional might mean within a changing Human consciousness. Let’s list some attributes yet again, so you will really understand the practicality of an earth with individuals who are starting to have an awakening they did not expect. The first one, the easiest one, is past life awareness. Children are being born today who will wake up earlier to these concepts. When they learn to talk, they may say things to their mothers like, “You’re the best mother so far!” Others in disagreement and disappointment will say, “I liked my last one better.” Mothers will look at them in shock, “What are you talking about?” However, an old soul mother will know exactly what is taking place. The child is remembering and may not know the exact names or the faces, but internally the child knows that they are not here for the first time. So the first thing that we say you may see is an intrinsic knowledge of the fact you have lived before. It starts with the children and unless they are talked out of it, they will have it all their lives. They know that life is a circle. No matter what spiritual systems will tell them, they know better. Some will keep quiet so they don’t offend those around them, but inside they’ll know it. You older souls didn’t have that. You had an awareness that grew and then you cognized it. However, with the children, it’s part of who they are when they come in. It’s already cognized. Remembering the fact that you have lived before is starting to happen to old souls. You’re starting to remember energies that you never remembered before. These are not necessarily dramatic, poor or dark energies. You’re starting to awaken to remembrances of good things, joyful things. Sometimes you will awaken and say, “Wow! That hasn’t happened very often. I was flying and saw beautiful colors. I heard my name being called and somehow there was light all around me. I want that dream every single night!” Welcome to a quantum experience of remembering not just a past life, but also a multiple of past experiences wrapped together in a way that is non-linear. That’s what is beginning to happen. That’s number one. Number two is awakening to wisdom from the past. Now listen: You cannot have Human Beings who start over every single time they’re born. That will never give you an ancient wisdom factor on the planet. Instead, you must have remembered wisdom from the past. It will be a wisdom that will put you in place to know what works and what doesn’t work – a self-evident and very natural wisdom in a culture that will understand that war will never work, a self-evident wisdom that knows the way out of difficulties, and a wisdom that will not allow you to make the same mistakes again and again. This will be wisdom from the past brought forward to the old soul child who grows into an adult and, slowly over a generation, the new attitude starts to be seen within your culture. It appears in the laws that you pass, in how your own legislators are selected, and what you start to hear: No more war. How many generations of humanity will it take before there is no more war? That is up to you. It may be shorter than you think because of what I am telling you now. What if you don’t have to be reborn again and again, but instead you simply awaken to the wisdom of the past? It would be wisdom you did not develop in this lifetime, but rather a wisdom that has come from many lifetimes over and over. My partner says to you, dear ones, when you return you will come into this world far more multidimensional than now. You will have chromosome pair 24 vibrating at a higher level, so you won’t make the same mistakes. It’s like when you burned your hand on the stove a child. You will carry that in with you in your next life instead of repeating it. You’ll remember the stove, and that is a metaphor for remembering war. You won’t do it again. I will say it over and over: There will come a time where you will look at civilization before 2012 as the barbaric years. Higher consciousness will be the way of everyday things on Earth. So let’s talk about some new multidimensional attributes. This may not make sense, because now we are going to depart from linearity. You’re going to remember future lives. Immediately, you agree, “Kryon, that doesn’t make sense.” Indeed, it doesn’t make sense in a linear fashion, no. Every single soul in this room and listening to this channel has been part of a bigger soul-group. There have been times on the other side of the veil when you have planned with the others where you’ll go next, what the plan would be that would help humanity the most, or what you needed to experience and learn. It’s a plan also about where you would be in this new energy and what you might do. Those plans for the future will constantly change because of what you do in the present. So none of it is a contract or a set, unmovable plan. However, what if I told you that you would be able to remember the planning? That is becoming multidimensional. Therefore, some of you will have a very good idea what is next and who you might be and where. In the case of the man in the chair, he’s going to a “new Africa”, but he is not going to alone. A karmic group around him will be with him. Are you listening Marc? [referring to Marc Vallée, the host of the conference] This karmic group is not the ones necessarily living with you. It may be those who you befriended as souls who have taken the journey with you in many lifetimes so far. It’s beautiful to think that you all may be part of a grand, future promise. Imagine knowing where you’re going to be next time and cognizing it! Many have called Earth “an experiment”. It isn’t. It’s a grand plan, modified by free choice. Oh, there’s another great one! When chromosome pair 24 becomes more active, you’re going to start having quantum biology. Multidimensional biology becomes a kind of super-innate. What that means is that everything you took for granted in the way your body works is wrong, because a quantum biology is one that is so smart that disease can never invade it. It’s smarter than the old energy diseases of the planet. Listen: There are some diseases your science has wiped out from the planet completely, by giving the body a tincture or sample of what to look for so it won’t let it in. Your biological defense is now greater than the disease and it’s gone from your world. This new information is very similar. So you actually have precedent of what I’m talking about and can visualize it. Now, what do you think that might do to the expectation of how long Humans are supposed to live? Think: No more cancer or any other disease, no more Alzheimer’s, name any disease that is so prevalent now – it can’t get in. It can’t get in because it’s dysfunctional and stupid to a light-body where chromosome 24 is super active. Your immune defense is a super-defense. That’s the multidimensionality of biology. It awakens to how it was designed and knows exactly when disease is trying to get in. It is smarter than anything you have yet seen. Listen: A great politician might start to participate with the best politicians of the ages. He will sense a multi-Akashic record – not just his own, but the greatest leaders in history. His leadership may then give great change and ideas to a very stale government. A great musician will start to participate in all of the old masters at once! That musician is not just sensing the old masters, he/she becomes the old masters. You might say there will be super-humans, super-artists, super-politicians and super-artists. Some are already here! Your question is, “How can they do this? It doesn’t work that way.” Welcome to multidimensionality. This is the way it was designed to work. You are currently in a singular, linear box. Forget the linear idea of one soul. Souls on the other side of the veil are a “soup” that we have told you about before. You can access yours, plus theirs, and it’s totally normal for a multidimensional consciousness. That’s chromosome pair number 24 starting to vibrate and hook you to all that is. Watch for it. The battle rages, dear ones. The battle is between dark and light and will be with you for a while on this planet. It doesn’t stop you from knowing about the coming evolution we’re discussing, but there will come a time where the main battle will be over. Make no mistake: Humans will always have free choice and there will be dark spots around the earth and disagreements from those who choose lower energy. But it will no longer be entire countries or dictators or entire cultures as it is today. Instead, it will be isolated and represent fractionalization of smaller groups. That’s free choice and will always be with you. Imagine that Human nature itself starts to change and actually expects benevolent things to always be the answer. Imagine cultures that are wise enough to work out issues with each other based on community and compassion, creating win-win scenarios. Imagine a culture that is no longer attracted to drama and death, but where all the best-selling movies and books reflect a new maturity of storytelling where the heroes are always those who think in ways that create solution. That would be the game-changer. There will come a day when Human nature is a consensus that will have “coherence of the heart” as its core and not drama or force or power. A new kind of Human will emerge, dear ones, and you’ll be there to see it all and to participate. Now, that is the best news you can ever hear.